You should hear my apartment right now, it’s like there’s an orchestra going on, and not a very good one. The wind is howling so strongly which makes me in the mood for a nice warming drink. Hot chocolate and cider weren’t cutting it, so I thought I’d leave my American go-to’s behind and go with Sachlav! 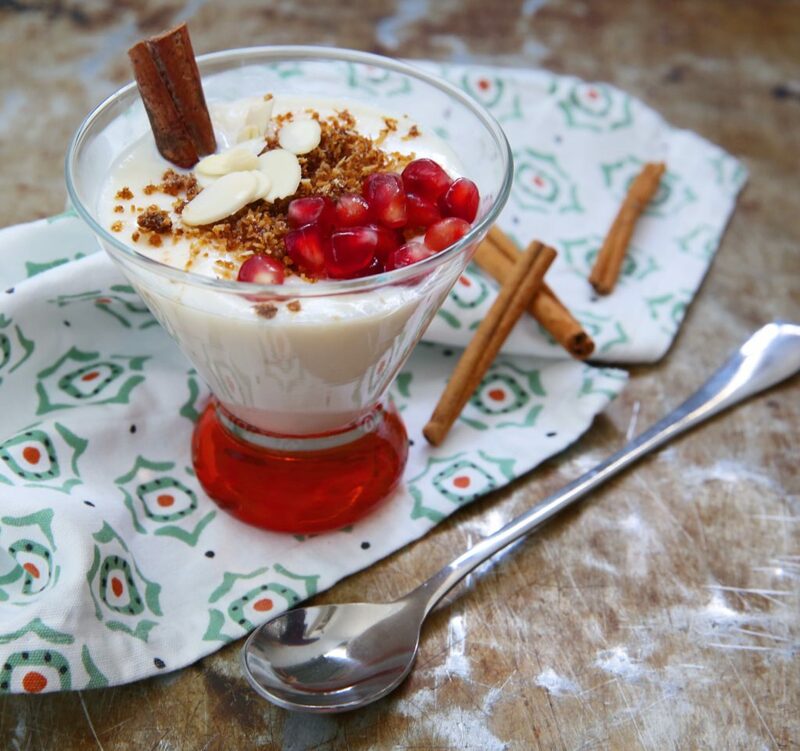 It’s a delicious middle eastern drink, that is more pudding than drink, but perfect for when you want something that will warm you from the inside out. As I was heading to my pantry for the sachlav packet I have previously used, I realized I’ve wanted to try making it myself, and there is no time like the present. Plus, I already had rose water just sitting in my pantry for weeks, so why not? It ended up being so easy! After some quick research about how it is typically prepared, I came up with a recipe that turned out amazing. I added cinnamon sticks and cardamom pods to the milk while it heated, rather than just as a garnish, and it added lots of delicious depth of flavor! In a small saucepan, over a medium flame, heat up 1 cup of milk with the sugar, cinnamon sticks, and cardamom. Whisk the remaining milk with the cornstarch in a separate bowl and set aside. When the milk is hot add in the cornstarch mixture and whisk to make sure there are no clumps. Allow the milk to thicken and then add in the rosewater and vanilla. Ladle into cups, add in the cooked cinnamon stick and top with sweetened coconut flakes, almond slices, and pomegranate seeds. You can also top with whatever else you like such as pistachios, other fruit, cinnamon powder, etc.